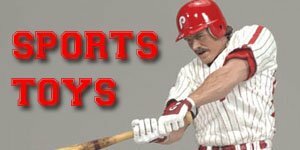 When were the first Spawn Figures made? 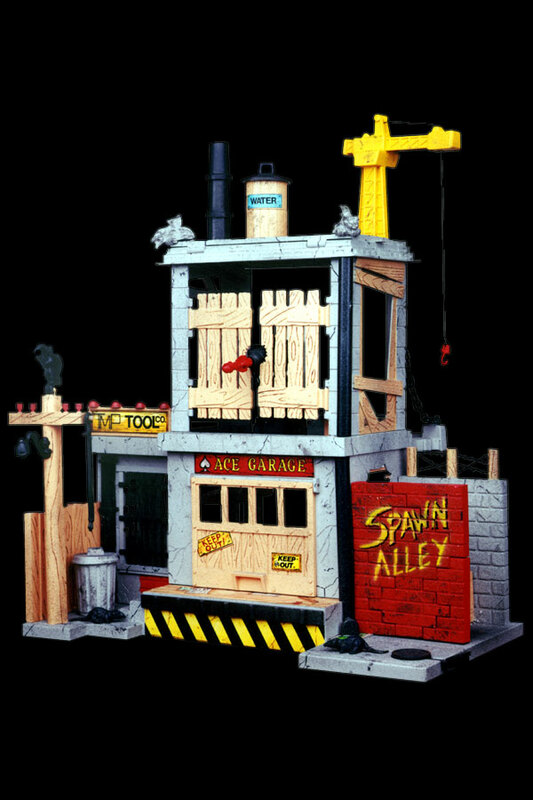 In 1994 Todd McFarlane founded McFarlane Toys for the soul purpose of producing Spawn action figures in order to maintain maximum creative control over his Spawn character. Todd McFarlane was born in Canada in 1961 and became one of the top artists and writers with Marvel Comics, but after some creative differences Todd and six of Marvel Comics' best-selling artists to set up Image Comics. This was when Todd introduced his own character, Spawn, to the World. Spawn hit comic stands across the country in 1992 and sold an amazing 1.7 million copies, an unprecedented feat in independent comics. 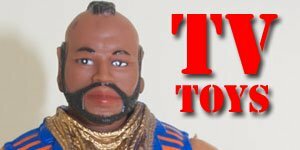 With the huge success of the comics Todd decided he wanted action figures of the main characters produced and so, he started to shop around. 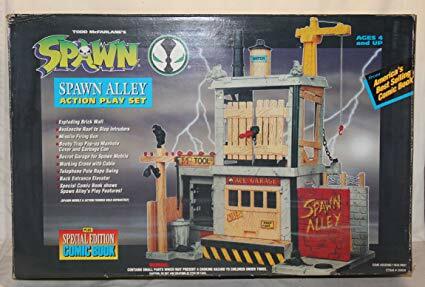 However, disappointed in what other toy manufacturers had on offer he decided to set up his own company, McFarlane Toys, for the sole purpose of producing and selling highly detailed and high quality Spawn figures at a reasonable price, and so McFarlane Toys was born. 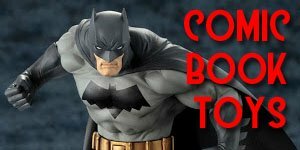 From there onwards there was a whirlwind of growth and expansion with more comics, action figures, films, animation and the Web. 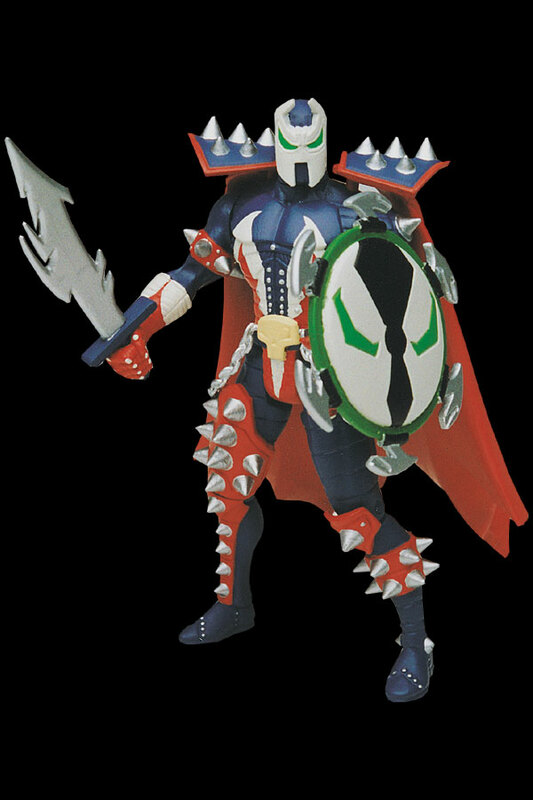 The very first series of Spawn figures was released in 1994 and featured 6 action figures and three "playtsets". 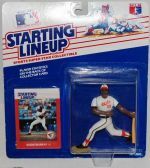 Since this inaugural issue there have been a total of 34 standard "sets" of figures as well as numerous Collectors Choice and Exclusive figures and "one off" sets. Spawn- aka Al Simmons , was a highly trained, specialist soldier who was murdered by his boss for knowing to much. But Al Simmons was far from your regular hero and had a darker side and so he was thrown into the pits of hell. Medevial Spawn- Spawn has been around for as long as Good and Evil have been fighting each other, each time in a different guise or persona but always with his trademark cloak. 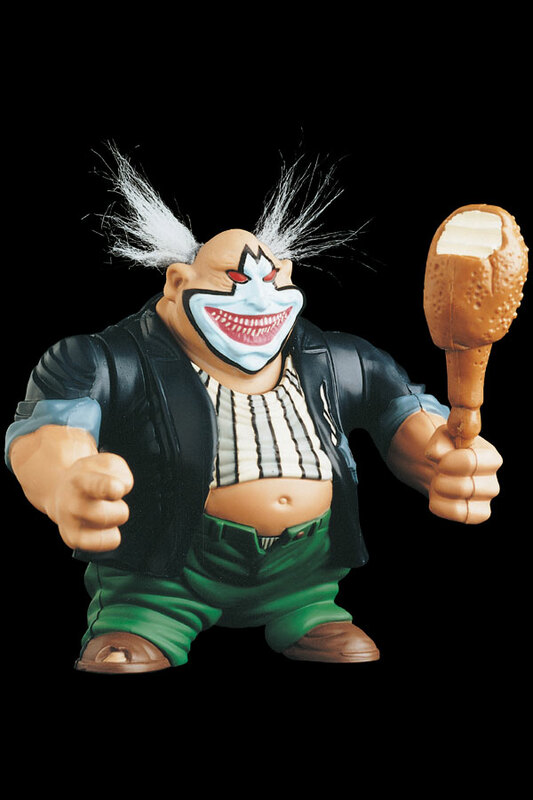 The Clown- The Clown is a figure straight from hell. In the employ of the Demon Lord Malebolgia it is his duty to ensure Spawn will command Hell's army, and The Clown will do anything to make his master happy. Violator- The Clown's alter ego is everything he isn't. A creature of pure evil, hate, cruelty and vengeance. The Vilotor is not someone you would wish to meet, even on a good day! Overtkill- After Spawn's attack on the inner city crime lords and their Mafia counterparts they decided to fight back and so Overtkill was born. Aassassin cyborg with one mission and one program, to hunt down, kill and destroy Spawn. But will he be able to match the Spawn...? 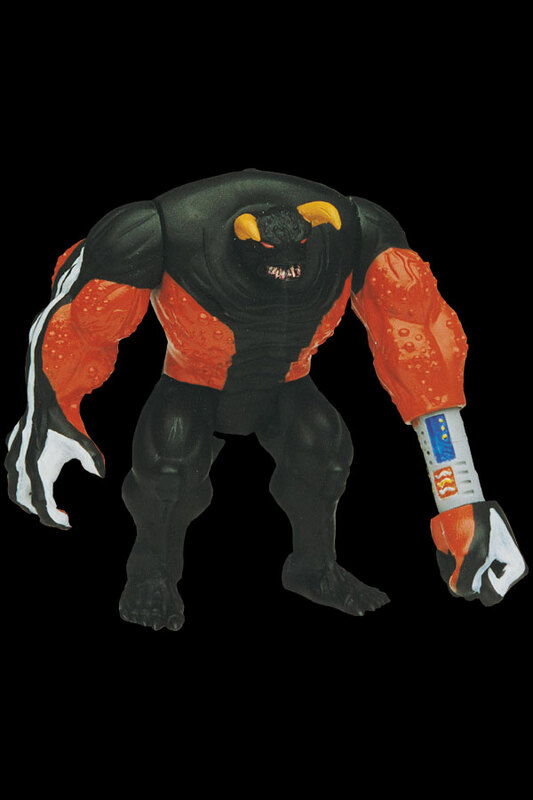 Tremor- Once human, before the scientists started their experiments, he remains a twisted and deformed shadow of his previous live. Now consumed by an intense burning pain and an even more intense and bitter burning for revenge. and no one will stop him. 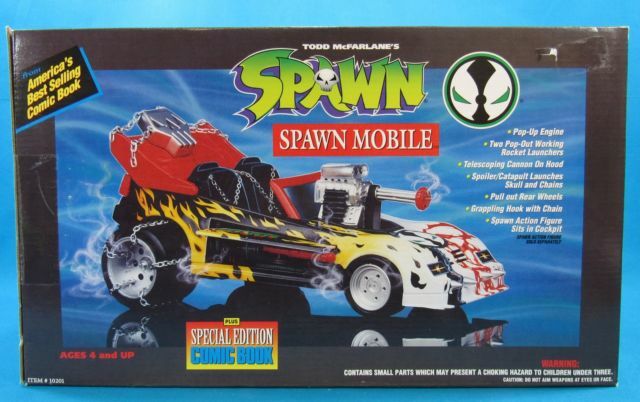 • Spawn Mobile- Batman has the Bat mobile so why not a Spanw mobile? 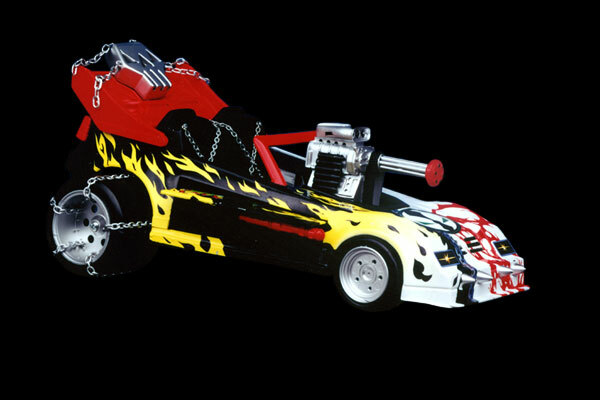 The Spawn Reborn figures were a popular sub-series of Spawn figures released alongside the “basic” series of figures. 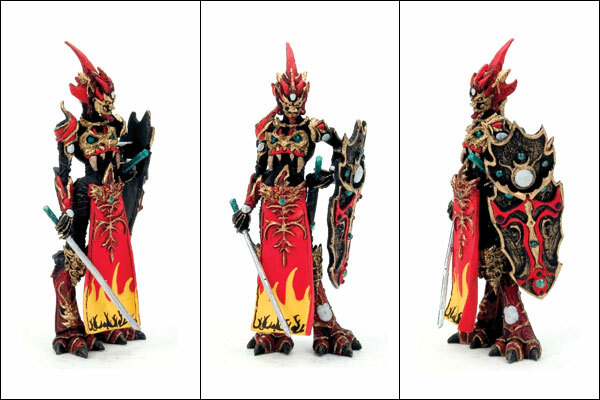 To date there have been three series of Reborn figures. 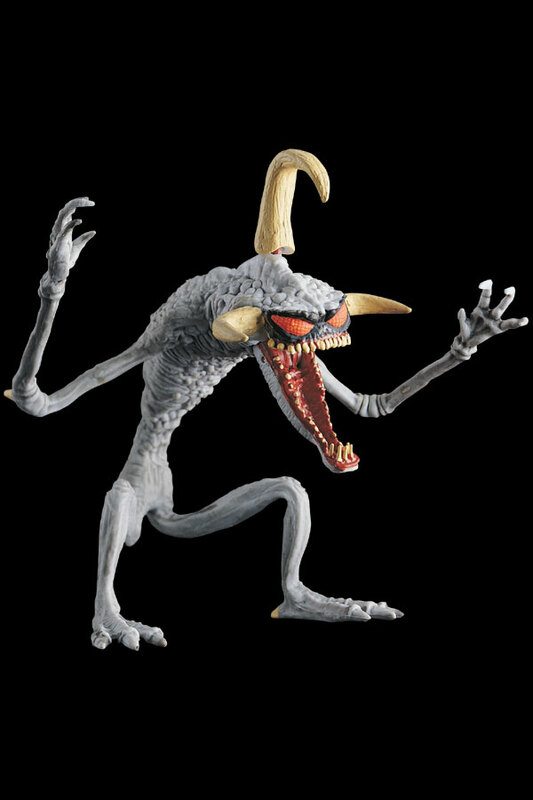 The theory behind the Reborn figures was simple, McFarlane took a selection of popular figures and allowed their artists another crack at them which often resulted in redecorated figure that was different to its original release. 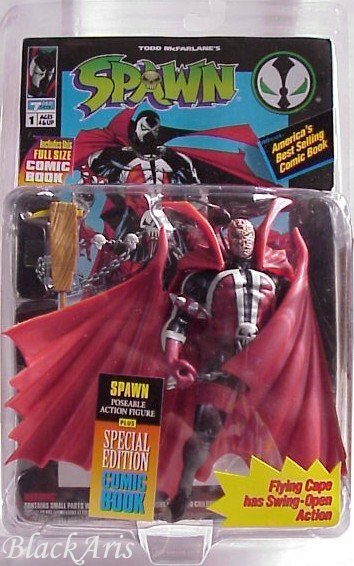 The Spawn Reborn line of figures was introduced April 2003 and some of the most popular Spawn figures to date are from the Spawn Reborn series of figures. 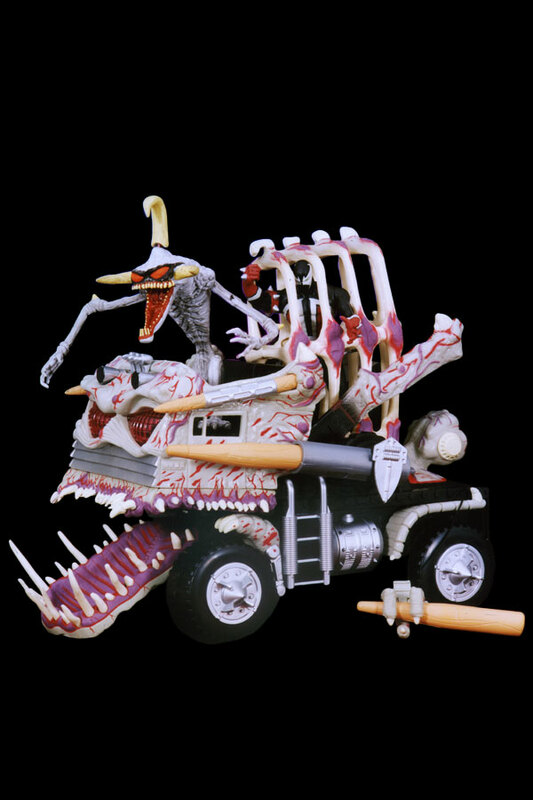 Released in April 2006 the Spawn Trading figures were 3-inch representations of some of the most popular SPAWN action figures, ach available in three separate paint schemes: original, metallic and variant. 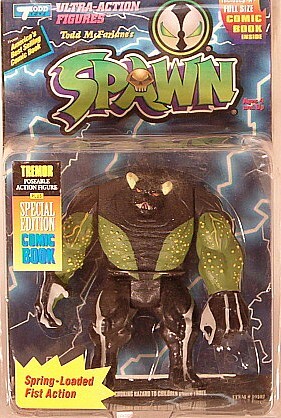 The spawn trading figures were packed into pseudo blind boxes. This meant that the box was marked on the outside indicating which figure was inside. But you did not what version of the figure you were buying. 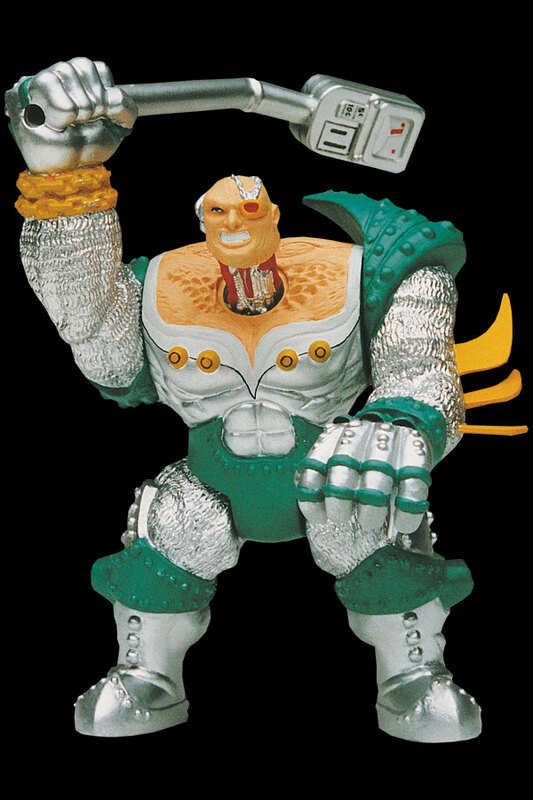 The most ordinary figures were the solid color ones with the chase bronze, silver and gold versions randomly inserted. 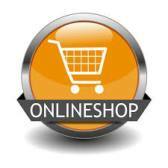 These figures sell for anything from $5-$20 on the secondary market and some for even more!! 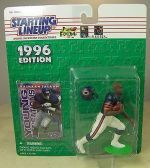 Maybe if their price hadn't have become so inflated they would have been more popular and would still be about today but as it was only 2 series of these figures was released. But that said…they have become very collectible since, especially the variants! 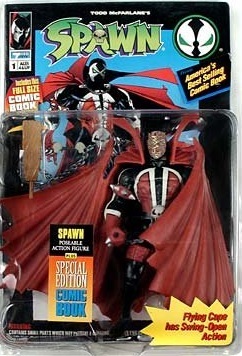 There have been many Exclusive Spawn figures since the very first figure was released back in 1994. 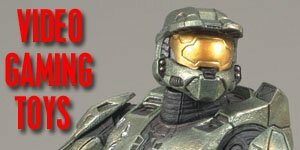 Most of these figures were only released online through the McFarlane Toys Collectors Club, or sold in their only store in Glendale, Arizona. 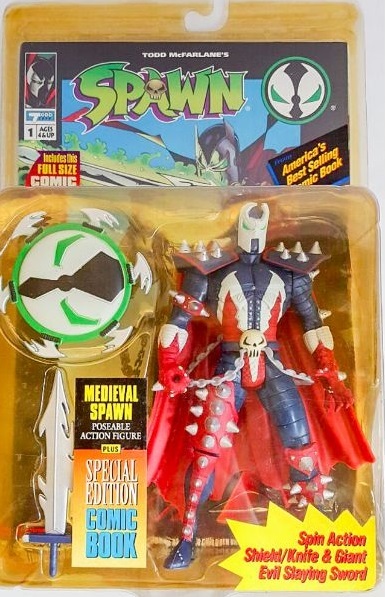 One of the "sub-sets" of Exclusive Spawn Figures was the The "Best of Spawn" series, which was a limited production featuring some of the all-time fan favourites in all-new packaging. 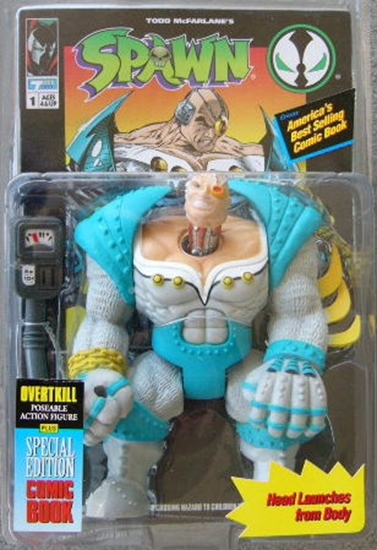 But probably even harder than those and one of the Holy Grails of the Spawn line is the clear Necro Cop from Series 31. Tthere are rumoured to be only 100 or so of these ever made. 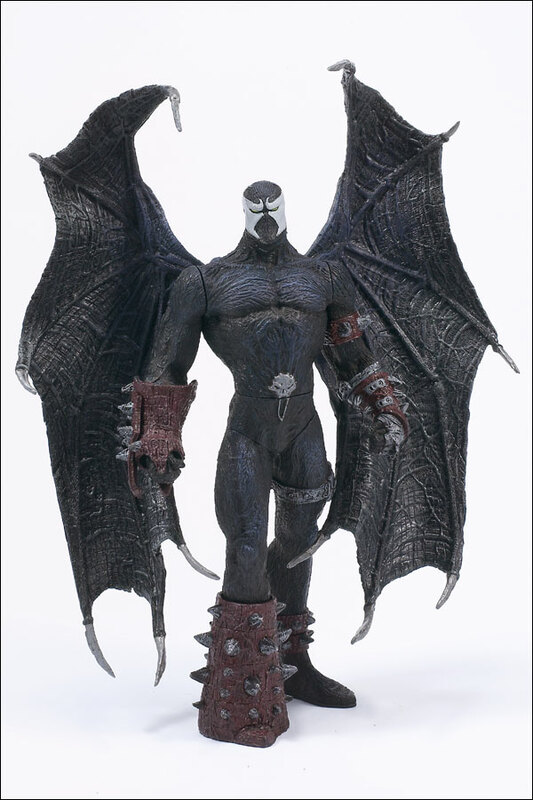 Or how about the Todd Mcfarlane Urizen, with only, reportedly, 10 in existence and sells for $500. 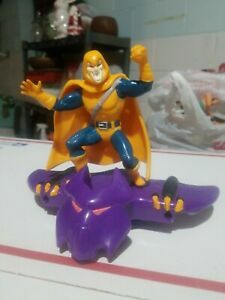 The pewter Raven Spawn is a real tough figure to get as it was never released, but they sit in a warehouse to this day, apparently, so may be one day they will surface. 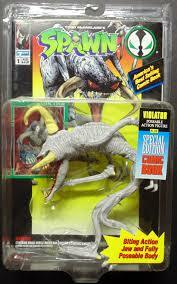 Then there is the Diamond Exclusive Worm Head Spawn that came out with the release of Spawn #50. 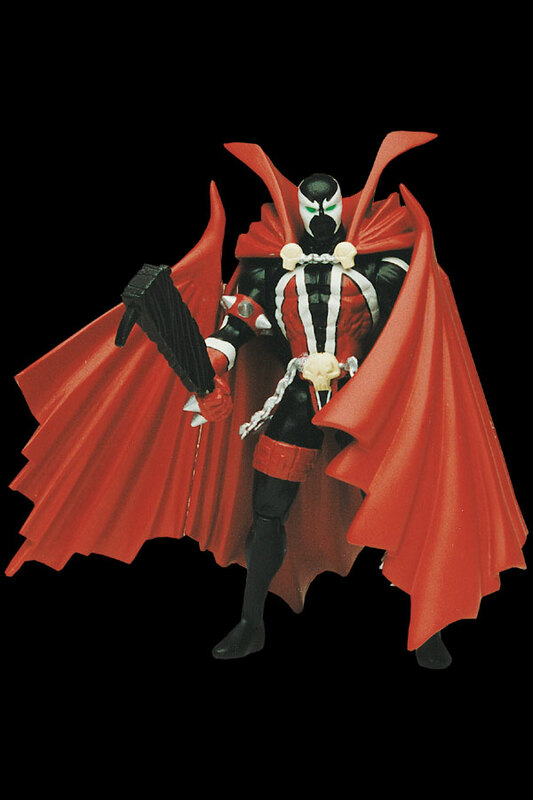 But don't get this mixed up the first series Spawn which had a masked Spawn (black costume) and a repaint unmasked Spawn (black costume), or the first Diamond/Wildstorm exclusive which was the masked S-1 Spawn figure (w/a blue costume). 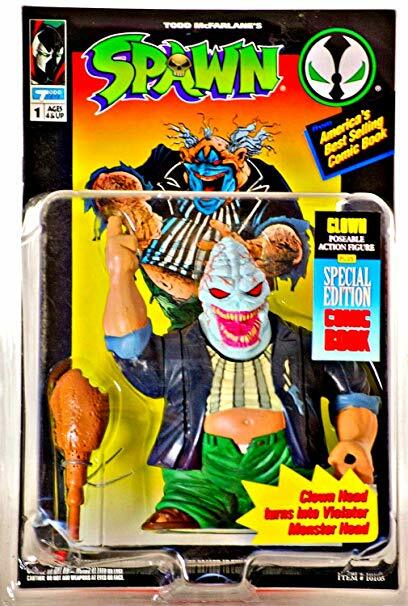 The 'Worm Head' 50th issue Diamond exclusive was a new unmasked head (w/a black costume) and then there was The Collector's Club figure which was released later with the same 'Worm Head' but w/a blue costume!